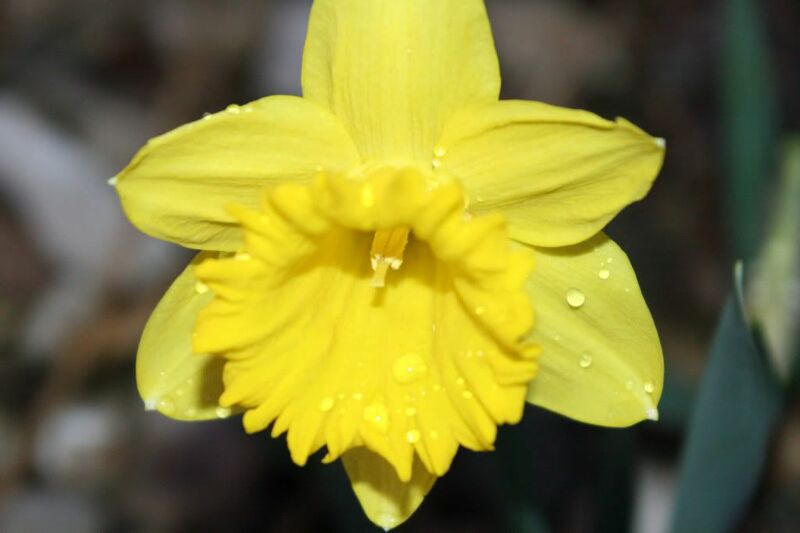 Daffodils are one of the easiest plants to grow. They are relatively pest free, given that they are poisonous to many creatures. Few insects bother them. Rodents that feast on other bulbs like tulips and crocus won’t eat daffodil bulbs. Deer, which will eat almost anything if they’re hungry enough, won’t touch a daffodil. They also tolerate a wide range of climates, which is good if you live in Iowa. Today we had a nasty snow/sleet mix. This flower is an indicator that SPRING is actually coming, it's just taking it's sweet time.